Make at least three copies of your picture: one for yourself and two to be used in your copyright registration application. If your picture is a photograph, you can make three prints of the photograph; if it is a work of art, you may be able to make a photocopy or take a photograph of the work to submit to the U.S. Copyright Office. For your particular picture, review Circular 1, "Copyright Basics," from the U.S. Copyright Office to determine the best way to make copies of your work. Fill out the registration forms. For pictures, you may fill out the forms in one of two ways. The first option is to fill out Form eCO online, available through the U.S. Copyright Office website. The benefits of using this online form include quicker registration time and a reduced registration fee. You may use Form eCO even if you have to send the copies of your work to the U.S. Copyright Office through the mail. The second option is to fill out paper Form CO. If you use Form CO, you will also need to fill out Form VA, if your picture is a photograph or artwork, or Form PA, if your picture is a motion picture. Pay the registration fees and submit your forms. If you use Form eCO, the registration fee as of 2011 is $35 per work registered. If you use Form CO and either Form VA or Form PA, the registration fee as of 2011 is $50 per work registered. You may pay your registration fees with either a money order or a cashier's check made out to the U.S. Copyright Office. If you used Form eCO, you may also pay online with a credit or debit card. You must also send in two copies of your picture to the U.S. Copyright Office. Protect your copyright by placing a copyright notice on your picture. 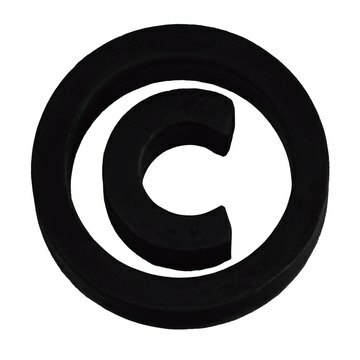 The copyright notice should consist of the copyright symbol, a letter "c" in a circle, your name, and the year you registered your copyright. Your copyright is considered registered when the U.S. Copyright Office receives all the pieces of your application: the forms, the fee payment, and the two copies of your work.